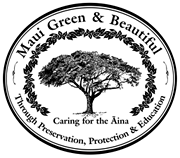 Maui Arborist – Trees and Landscape Decisions | Maui’s own International Society of Arboriculture 2015 True Professional of Arboriculture Award Winner! Maui’s own International Society of Arboriculture 2015 True Professional of Arboriculture Award Winner! If you have not yet heard, Ernie Rezents recently won the 2015 True Professional of Arboriculture Award! 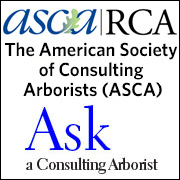 2015 True Professional of Arboriculture Award Winner! Ernie in the photo is holding the booklet which is a copy of the original booklet sent for his nomination to ISA in January. The booklet contains a letter from Maui Green & Beautiful explaining that MG&B did the organizing and paperwork for the nomination but this nomination is truly from the Community of Maui, Hawaii. Also included is the nomination form, a copy of his website with his bio, articles written by Ernie, explanation of the Maui County Planting Plan and Ernie’s dedication as the project coordinator to this document, Board member of the Fleming Arboretum at Pu’u Mahoe, Ernie’s volunteer for the Malama the Trees educational conferences, MALP Lawn & Garden Fair, and community programs, news articles with quotes from Ernie, and the most important: the letters of support for Ernie. Every letter touched Ernie’s heart. Ernie has and will continue to influence all of us by Ernie being Ernie. The community of Maui including the trees is celebrating! Please contact Ernie!!!! And let him know how deserving he is of this award and how happy you are for him & his wife.